Foot Cardigan vs Woven Pear: best sock club for women’s socks? 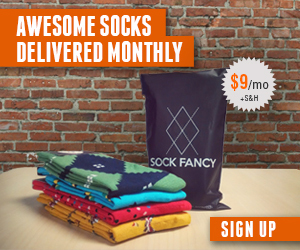 Sock subscriptions are a fantastic gift for friends, colleagues, and even family members. Some sock of the month clubs have a narrow audience focus, such as Woven Pear, which is a top sock of the month club for women. If you are looking to upgrade your sock drawer and improve your style game in your lower ankle area, look no further because we are comparing two sock subscriptions for women — Woven Pear and Foot Cardigan. Woven Pear keeps their options straightforward — fun sock subscription for women. The Woven Pear website goes into detail around the history of their sock patterns and the inspiration behind their goofy designs such as “Flirty Flamingo” and “Foxy Lady” socks. The sockscription at Woven Pear promises a variety of fun designs for your feet. And if you are into comedy, you’ll love the team at Foot Cardigan. They have an extremely fun personality — you can hear more by subscribing to the “Footsies Podcast”, which is hosted by the goofy Foot Cardigan founders. The socks that Foot Cardigan produces are under their own brand, and their variety of funky styles reflect their diverse personality. Woven Pear gives you several payment options. You can subscribe monthly for $24.99 per month, prepay for 6 months for $132.90, or prepay for 12 months for $239.90. Foot Cardigan charges a simple $9 per month subscription fee, and they offer to gift wrap your subscription for an extra $2 per shipment. Foot Cardigan offers free shipping, and you can save money by paying in advance (you also receive a free month with a year prepaid upfront). Woven Pear and Foot Cardigan are positively reviewed by their subscription base. Foot Cardigan has received positive coverage in major publications such as The New York Times, Buzzfeed, Shark Tank, and Forbes. Woven Pear also has reviews on their website, powered by Shopify review app Yotpo. Woven Pear receives 5 out of 5 starts on 680 reviews as of this writing. Do you have a favorite sock of the month club for women? Let us know in the comments if you have tried Foot Cardigan or Woven Pear, and which one you prefer! Sockscribe sends you awesome socks every month. They have relationships with leading fun sock manufacturers and give you a variety of brands and styles to keep your sock game and feet looking awesome. You can choose your payment plan, choose between dude or chick socks, and choose between patterned or graphic socks.